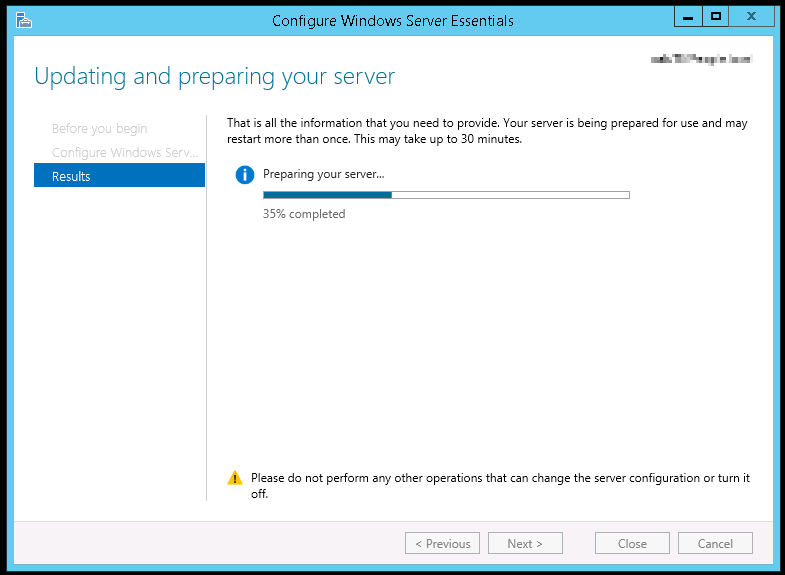 During a migration from SBS 2003 to Windows Server 2012 Essentials I encountered the error Configuration Encountered some issues when running the configuration wizard. Please Click Retry. 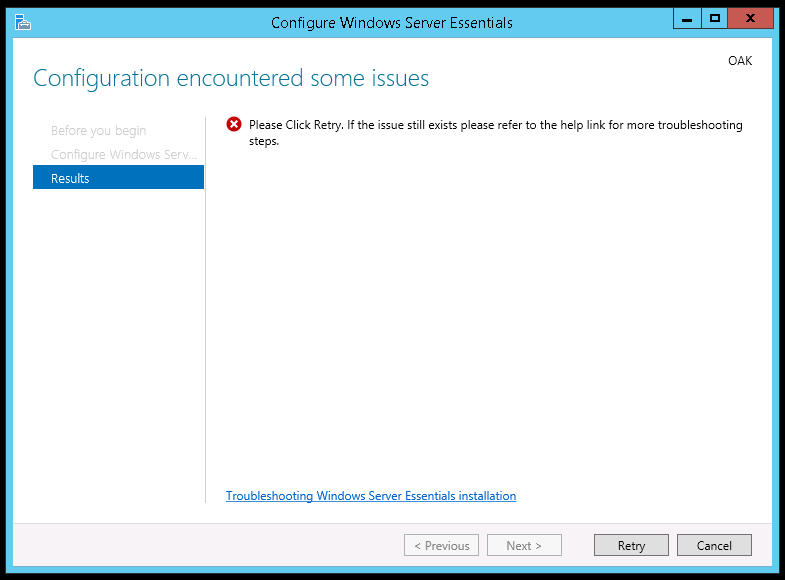 If the issue still exists please refer to the help link for more troubleshooting steps. To fix this problem, go into your group policy settings and grant the ServerAdmin$ account the right to logon as a service. Computer Configuration -> Policies -> Windows Settings -> Security Settings -> Local Policies -> User Rights Assignment -> Logon as a service. It did help me! 🙂 Thank you for sharing this information!